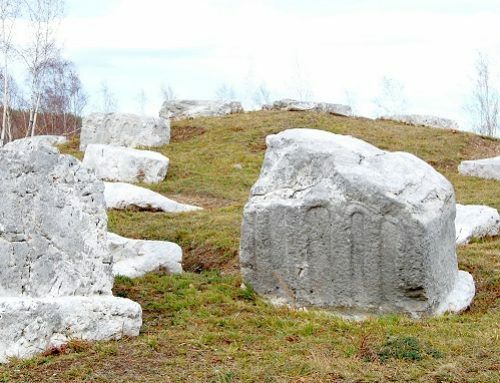 The necropolis is located on the Drina River high right bank in the area between the road and the river, at the entrance to the settlement Perućac from the direction of Bajina Bašta (12 km). There are 88 stećci at the necropolis. The tombstones are oriented west-east with some minor deviations. They are arranged in regular rows. The following types stand out: slabs, gabled roof tombstones with and without bases, chests with and without bases and amorphous monuments. The tombstones are made of limestone with the surface well-dressed and polished with a big teethed hammer, without decoration. There are additional two recorded monuments in the water and seven monuments on private property, mostly covered with soil and unnoticeable. Further to the west from the medieval cemetery with stećci, there is a graveyard from the 19th century, some parts of which are still used for burials. There is only one chest with a motif of a circle. No inscriptions have been recorded. The medieval cemetery Mramorje in Perućac (28) is located on the Drina River high bank. Given that there are no data on previous settlements or burials, we assume that the cemetery is located on a hitherto intact spot. The archaeological survey in 2010 revealed that the graves had been buried into an untouched layer of loose limestone rock. In one of the tombs, a silver coin of Bosnian King Stefan Tomaš (1443-1461) was discovered on the board covering the deceased. The territory of Bajina Bašta, which includes today’s Perućac, was located on the outskirts of the medieval Serbian state of Raška at the border with Bosnia during the period from the 13th to the 16th century. The population lived in small settlements and communication among them was controlled from fortified towns, today’s sites of Solotnik, Đurići and Rogačički vis. In the 14th century, the region was ruled by Nikola Altomanović and soon the territory was occupied by Prince Lazar Hrebeljanović. Spiritual and religious influence was exerted by the monks from Rača Monastery which had been built in early 14th century. 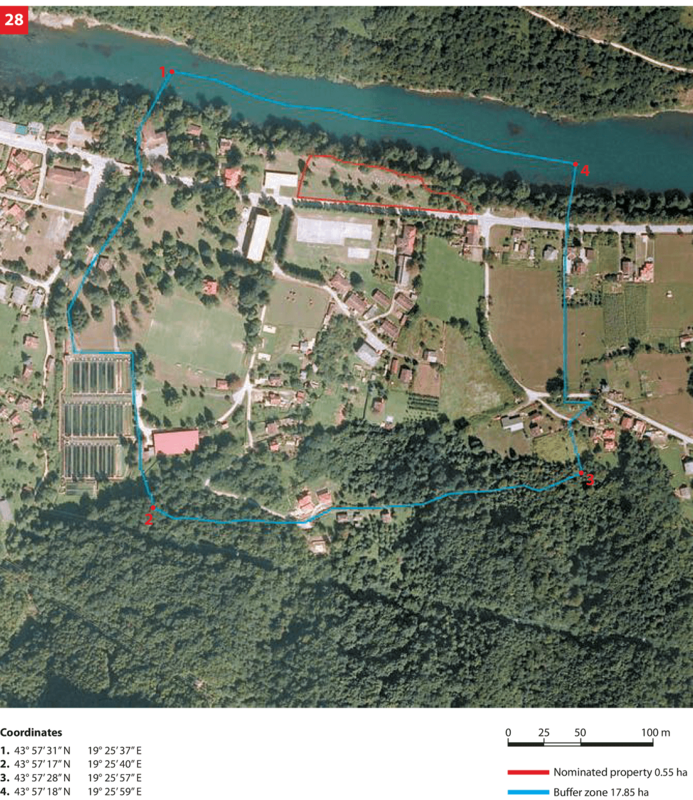 The second phase of development is represented by a 19th century cemetery which extends to the west and southwest of the last stećci along the Drina River. Continuity of burial may be followed to this day, but the area with the stećci has not been affected by recent burials. In the 19th century, the settlement of Perućac developed south of the sacral site. At the end of the 19th century and the beginning of industrial exploitation of timber, a small power plant for the needs of several sawmills operating in Perućac, was erected on the Drina River bank, 300 meters west of the medieval cemetery and north of the newer cemetery. Today Mramorje in Perućac is a categorized archaeological site in the centre of a tourist resort. The archaeological site borders the Drina River high right bank to the north and the Bajina Bašta – Tara traffic route to the south. The Drina River bank is naturally connected with the traffic route in the east; the west boundary is the right bank of the Vrelo River flowing into the Drina River. The medieval cemetery Mramorje in Perućac is located on the Drina River high right bank in the area between the road and the river, at the entrance to the settlement of Perućac from the direction of Bajina Bašta (12 km). The medieval cemetery preserved its original structure, despite the changes that occurred over the last two centuries. The present state of the medieval cemetery is good. A graveyard from the 18th century some parts of which are still used for burials is located further to the west of the medieval cemetery with stećci. As there is no data about older settlements or burials, we assume that this graveyard is located at an until that time intact place. Continuity of burial may be followed to this day, but the area with the stećci has not been affected by recent burials. In the 19th century, the settlement of Perućac developed south of the sacral area. 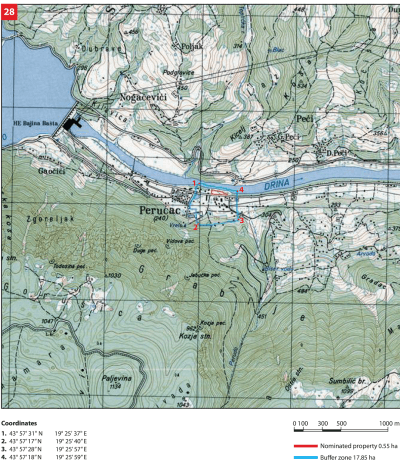 At the end of the 19th century, at the beginning of industrial exploitation of timber, a small power plant for the needs of several sawmills operating in Perućac was erected on Drina River banks, 300 meters west of the medieval cemetery and north of the newer cemetery. The road was built during the sixties of the 20th century just along the southern border of the necropolis. It is a local road connecting Bajina Bašta to the settlements on Tara Mountain. The first phase of conservation and cleaning was completed in the summer of 2011. Specialized machinery was used to restore the position of twelve monuments as much as possible to the original. Soil around each monument was removed. Even the monuments that had not sunk into the ground were covered with earth and grass and weed vegetation. The monuments were cleaned and washed, and the missing parts of some monuments were reconstructed. Landscaping enabled for quality view with better grasp of the content of the archaeological site. A sign post with the name of the archaeological site was placed. 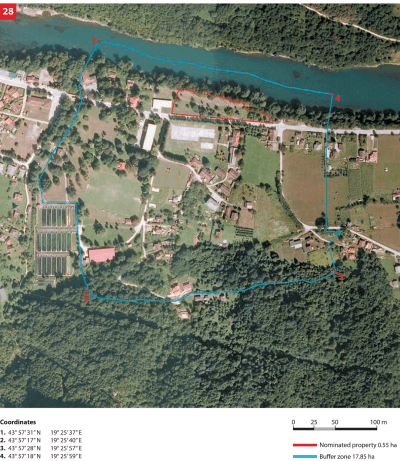 Complete documentation on found and present state has been prepared for the archaeological site Mramorje in Perućac. There are no statistical data available on the number and structure of visitors. Visits are minimal and individual. Visitors are mainly (foreign) tourists on their way to Mount Tara and organised tourist points on the mountain. The medieval cemetery with stećci is located near the road, at the very entrance to the village of Perućac and in the immediate vicinity of the centre of the village, but there is no clearly marked parking lot for visitors in transit, though they are physically accessible and regulated. At the site there is a board with the name of the site as well as an info board with information about the site in Serbian and English. There is a reference to the site in the tourist offer of the Tourist Organisation Bajina Bašta, but there are no organised visits; information is available on the website of the tourist organisation, but no information materials. In the centre of the village there is a transient bus station and a parking lot for a large number of buses. There is also a hotel and restaurant Vrelo (with twenty rooms), as well as a dozen of private households with some small accommodation capacities. In the centre of the village there are two small private retail shops and two cafes. South of the site there is the elementary school with a sports ground that can be used for recreational and tourist purposes. This offer is located in an organised but poorly maintained park with decorative and rare vegetation; the park borders with the western part of the site buffer zone. Perućac is known for its typical tourist event „The Drina Regatta“ that takes place on weekends in July. The participants in the event are usually not interested in visiting the archaeological site, though their start point is located just one kilometre from the site. A road leads from Bajina Bašta (12 km) to the Tara Mountain (10–30 km) where they have a well-developed individual and organised tourism. 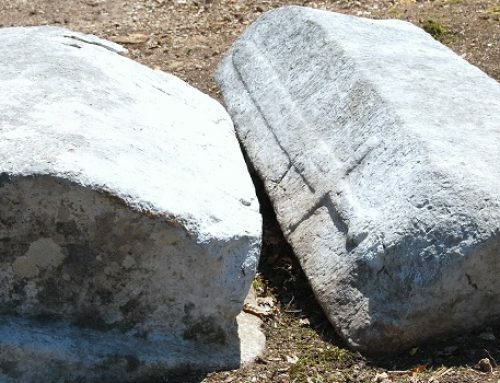 There is a possibility of introducing information materials on medieval cemeteries with stećci through the existing hotel and private accommodation capacities.